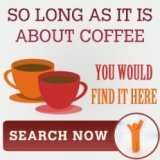 Coffee grinder reviews about mazzer and even mini mazzer could be the region of thousands. So, doing one on its technical achievements and such, would be an absolute waste of time. 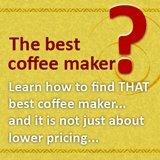 So, for this coffee grinder reviews, I am doing it YOUR Way, highlighting 5 things that coffee lovers want for their grinder and if Mini Mazzer can fulfill that. The first criteria for all coffee lovers, would be evenness of the grind. Next, would be the speed which the grinder can produce the grind. Any folks that get a grinder are usually one that would pull a shot of espresso. And anyone that tamp and pull espresso, knows the importance of even and consistent grind. It is this that allows good extraction and great espresso. It is also the even grind that separates the good espresso grinder from the normal grinder. For the mini mazzer coffee grinder reviews, I give it a 4 out of 5 stars in the evenness department. Personally, I have no preference on the speed of a coffee grinder, I tend to enjoy the brewing process. For many folks, I guess the fun is in the dosing, tamping and extracting that espresso, so if possible, the grind be as fast as possible. For that, the mini mazzer gets a perfect scoring. 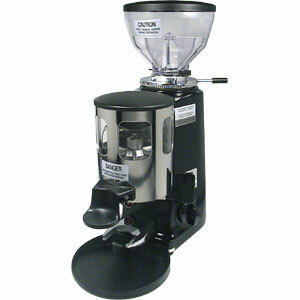 Not only is this grinder fast, after many grind, you still would not see any depreciable loss of torque power. The presence of static would cause coffee grounds to stuck to the grinder. 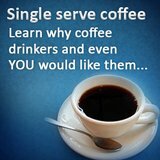 And if you would to do different blend and roast, it would spoil the taste. Of course, most of us that worries about static are worried about the cleaning of the coffee grinder. And, personally, it is something that I would look out for in any coffee grinder reviews if I am shopping for a grinder. This mini Mazzer has absolutely zero static. So, not only would it do a "clean" blend, it would also makes the cleaning very easy. Go to any coffee shops, you would noticed baristas dusting away coffee grounds. This does not come from careless baristas but are remnants from the coffee grinders. And these loose grounds got out from lousy grinder design. There would be loose grounds if the parts of the grinder have ill fitting parts. That is not an issue with the mini mazzer, as other than its sleek appearance, all its parts and joints are engineered to perfect precision, mitigating the problem of loose grounds. The NoiseThis last point is really my own preference, but nevertheless, something which I think is important (in fact, if you look at the way I review grinders, you would noticed that I see "noise" as an important criteria), and the lack of it in any grinders immediately make it a better grinder. So, when I was doing the mini mazzer coffee grinder reviews , its quietness was really amazing. I have heard about mini mazzer famed low unique noise from its users, but "hearing" it personally was really an experience. The coffee grinder seems to have a technology that muffle the grinding noise. It is probably a patented technology, but, the mini mazzer would definitely get a perfect score in the noise department, it is really quiet. 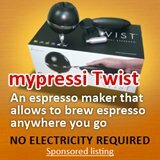 Coffee makers to brew coffee from your grinders?